Together with its partner Vestas, LTWP’s Winds of Change Foundation (WoC) constructed a 14km water pipeline and three distribution points in Arge. On Sunday evening, 29 July 2018, millions of Kenyans tuned in to Citizen TV to watch Jeff Koinange cover the story of the Lake Turkana Wind Power project – “the untapped national treasure”. As many of you will have heard during the televised exposé, the story started in 2005 when two holidaymakers from the Netherlands visited the Jade Sea and tried time and time again to pitch their tent to bed down for the evening. The aggressive winds that travel along the Turkana corridor between Mount Kulal and Mount Ng’iro meant that the tent’s canvas kept on flying away. Longstanding friends, the two men were farmers who grew wheat on the warm plains of northern Kenya and made the dusty trip to Lake Turkana every year to satiate their passion for fishing. Amid the moon-like terrain, Lake Turkana is the world’s largest desert lake and holds a wealth of large Nile Perch, yellow fish and other species – the perfect spot for avid fishermen. Returning home, the Dutchmen sounded out their idea among family and friends. Soon the world’s wind experts were sent to Lake Turkana to test it out for themselves. They weren’t disappointed. The reliability of the strength of the wind was hailed among the best on Earth. 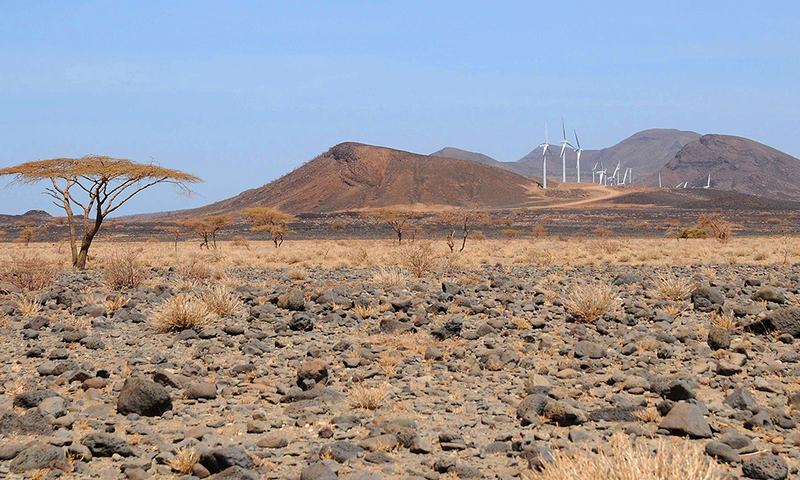 Over the next 10 years, more and more people from all corners of the globe learnt about the incredible potential of Turkana’s wind. Finally, awarded the biggest foreign investment to date – testament to the extraordinary levels of belief and support it had received from its concept phase, the Lake Turkana Wind Power project began. Fast forward to today and the building of the site is now complete. The dream has come true. Now, as you drive up to Kenya’s windiest corner, 365 majestic turbines adorn the landscape ready to power over one million homes. For more information, please watch our video “Dream Come True”. If you liked this story, stay tuned for more every month.